The New Netherland Institute is the recipient of an annual grant from the Alice P. Kenney Memorial Trust Fund. 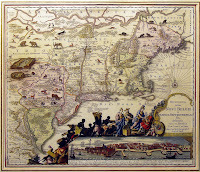 This grant enables the Institute to award an annual prize of $1,000 to an individual or group which has made a significant contribution to colonial Dutch studies and/or has encouraged understanding of the significance of the Dutch colonial experience in North America by research, teaching, writing, speaking, or in other ways. Reasonable travel expenses will be reimbursed. Persons or groups to be considered for this award can be involved in any pursuit of any aspect of Dutch colonial life in North America. Emphasis is on those activities which reach a broad, popular audience in the same way that Alice P. Kenney’s activities did. * Candidates for the award can be nominated by members of the New Netherland Institute, by historical organizations, or by the general public. * Nominations should be in the form of a nominating letter or statement (1-2 pages long)detailing how the nominator became aware of the nominee, which of the nominee’s activities led to the nomination, how those activities qualify for the award, and what the perceived impact is of the nominee’s activities. * Nominations may also include illustrative materials which demonstrate the nominee’s activities such as maps, brochures, photographs of exhibits. * Nominations may also include up to three one-page letters of support from other persons. * Three copies of all material must be submitted. 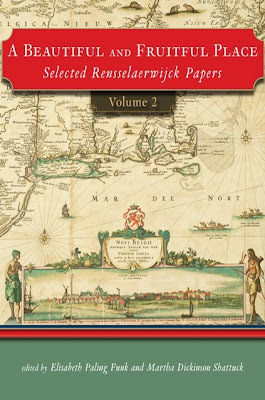 * The winner shall be selected by a four-person committee consisting of the Director of the New Netherland Project, two members of the New Netherland Institute and a representative of the Alice P. Kenney Memorial Trust Fund. * The committee shall consider (1) if the nominee qualifies for the award, (2) how significant the nominee’s contributions are, (3) how large the audience is, (4) how great the chances are for continued influence, and (5) whether the materials are historically accurate and based on the most recent primary and secondary research.